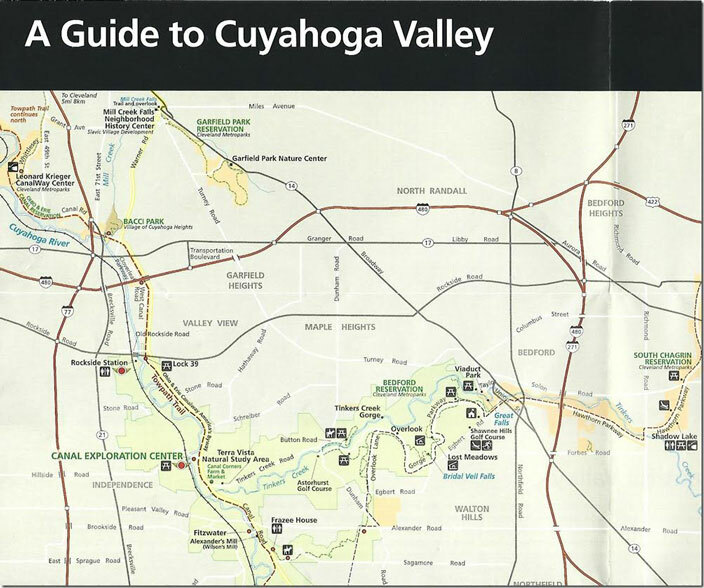 After my abbreviated visit to the Youngstown Historical Center of Industry & Labor, we rushed over to Akron to ride the 2:50 PM “National Park Scenic” run of the Cuyahoga Valley Scenic Railroad. 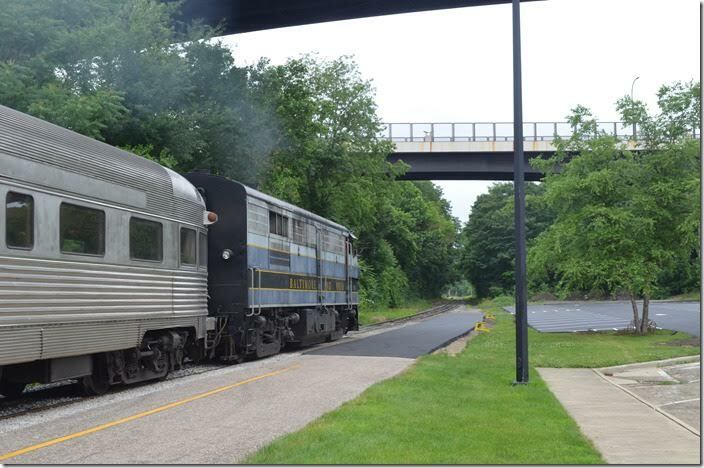 We took a few wrong turns in downtown Akron, but we found the CVSR North Side Station (27 Ridge St.) with plenty of time. The ticket price was $23.00 each. 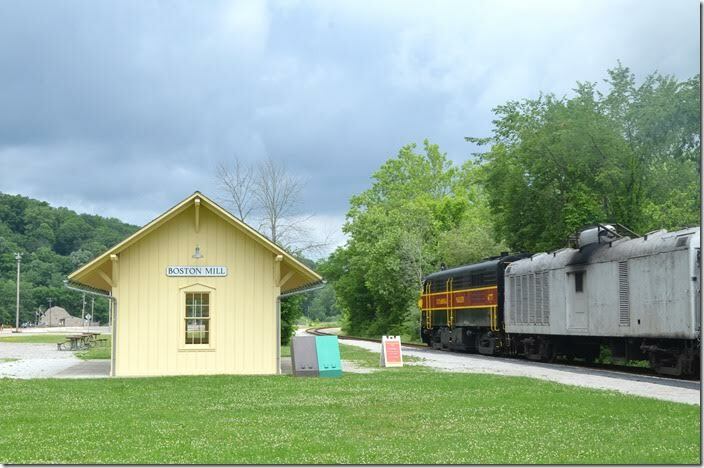 The CVSRR runs over the former B&O CT&V Subdivision from Akron to Independence OH. 1. 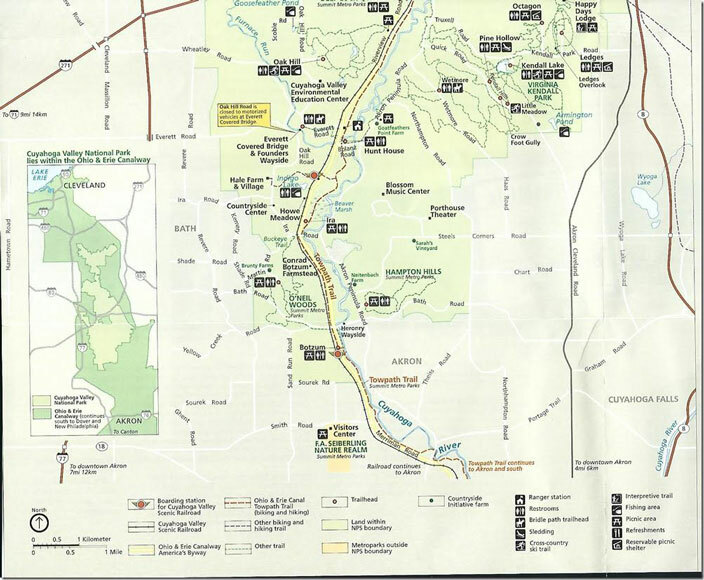 B&O 57 map. Click here to a larger image. 2. 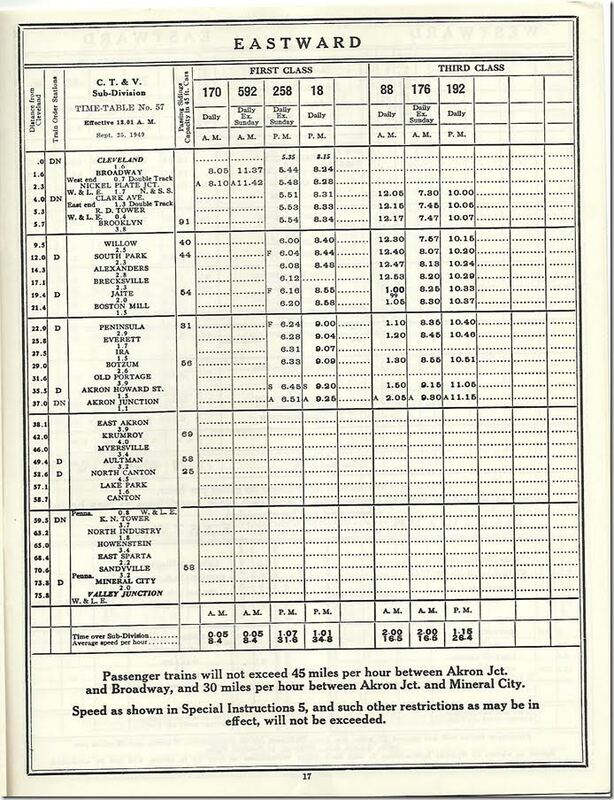 B&O Timetable for No 57. 3. 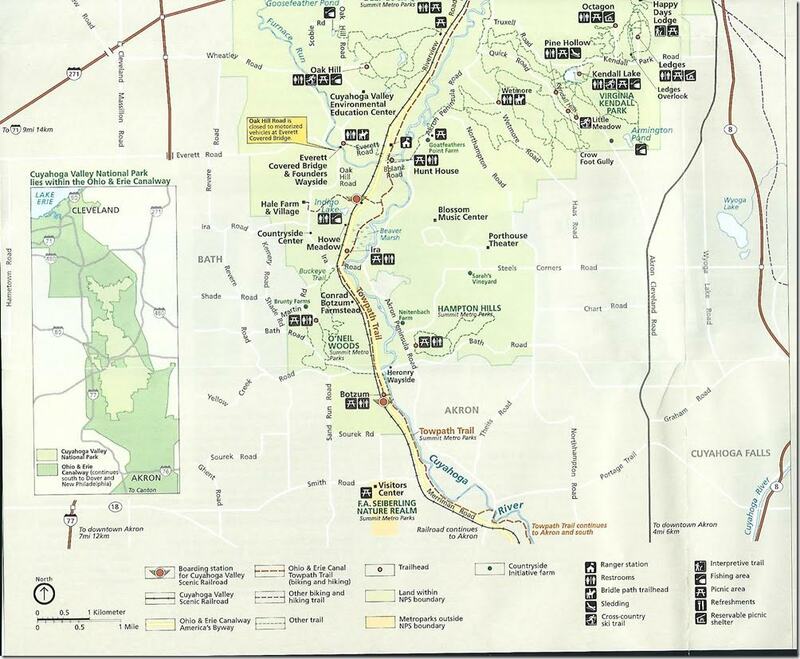 Independence is in the Cleveland metro area, and a few miles north of Brecksville. 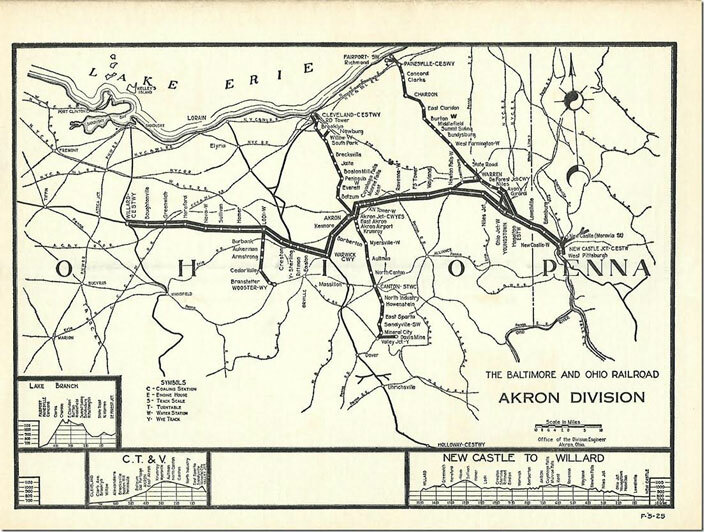 B&O Akron OH #2 1980 Station listing and diagram. 4. 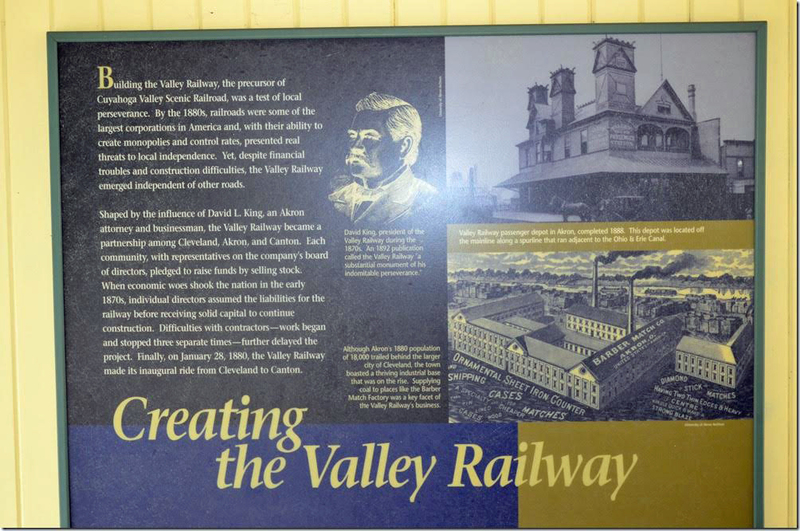 CVSR display Creating the Valley Railway Akron OH. Click here for a larger image. 5. CVSR display Consolidation and New Beginnings. Akron OH. Click here for a larger image. 6. 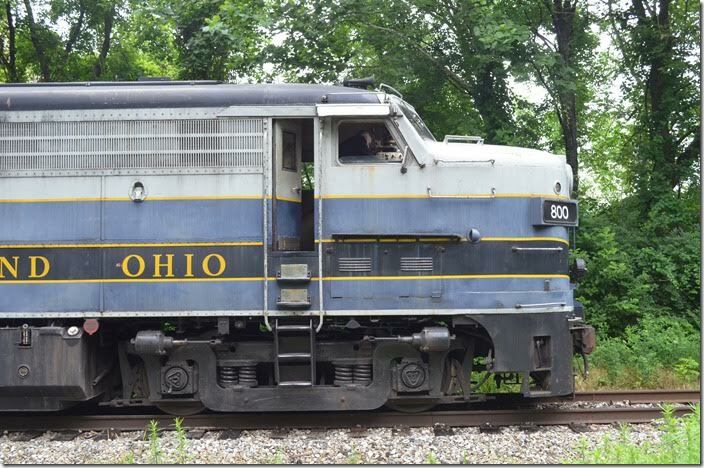 The southbound train arrives Akron on time at 2:30 PM. B&O 800. Akron OH. 7. B&O 800. Akron OH. View 2. 9. 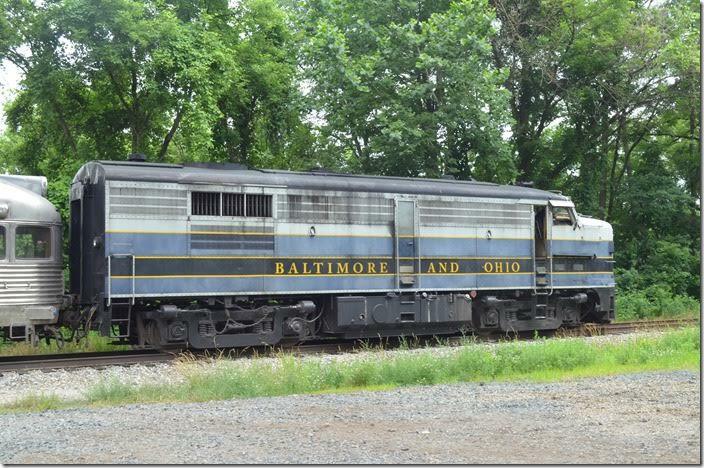 B&O had 38 ALCo FA-2s, and their numbers initially started with 800. This engine, however, is a Montreal Locomotive Works model FPA-4 that came from Via, the Canadian version of Amtrak. Its number was 6780 while serving Via Rail and Canadian National in passenger service. FPA-4s were late cab units, having been built in 1959 to finish off CN’s steamers. B&O 800. Akron OH. 10. 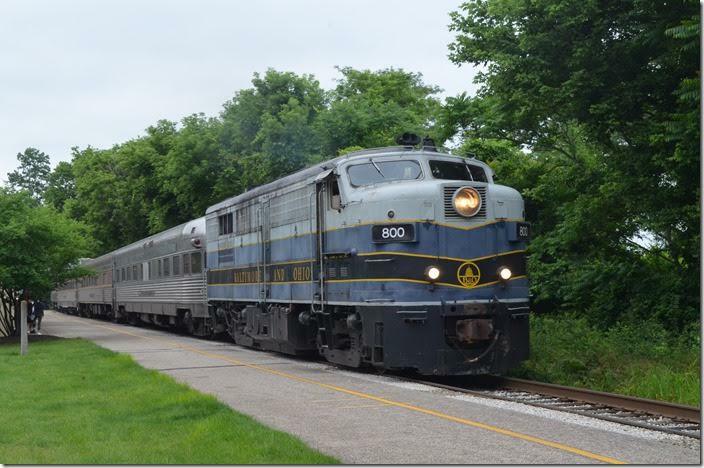 B&O had several FPA-2 and FPB-2 units which were FA-2s equipped with steam generators for back-up passenger service. B&O 800. Akron OH. View 2. 11. CN had the only FPA-4/FPB-4 model. B&O 800. Akron OH. View 3. 12. 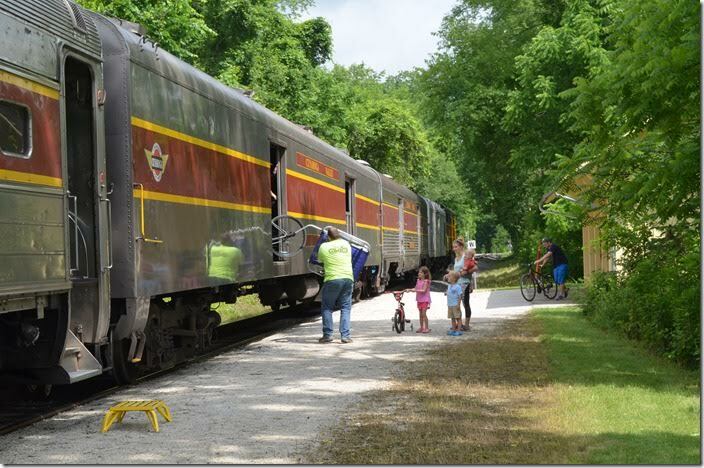 On Saturday morning 06-23-2018 we headed over to Peninsula to photograph the first southbound run. B&O 800. Peninsula OH. 13. 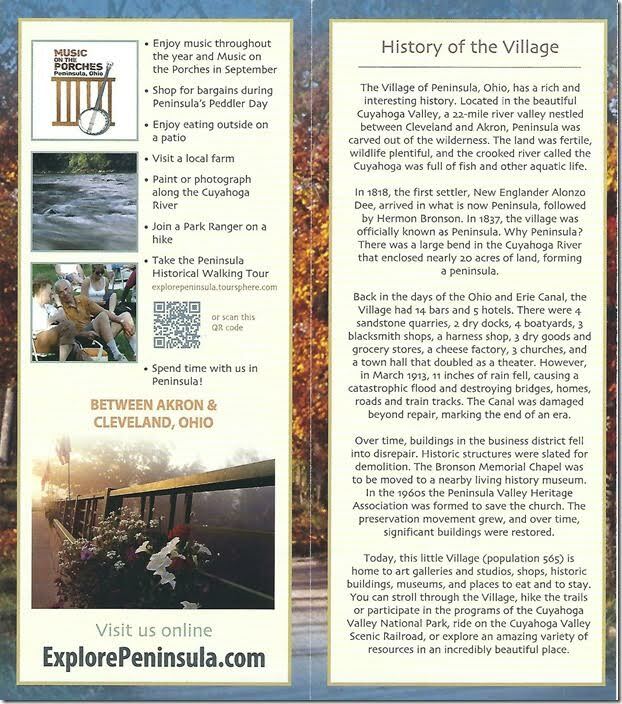 Peninsula brochure. Page 1. 14. 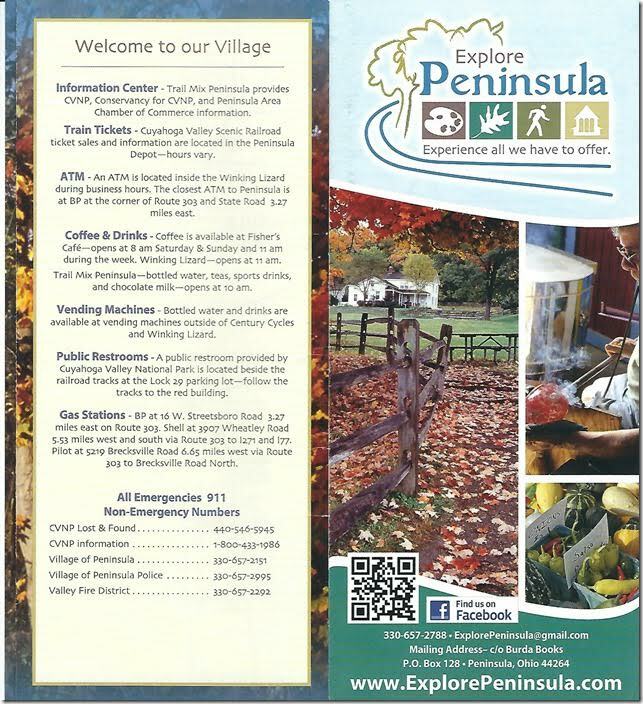 Peninsula brochure. Page 2. 15. B&O 800. Peninsula OH. 16. 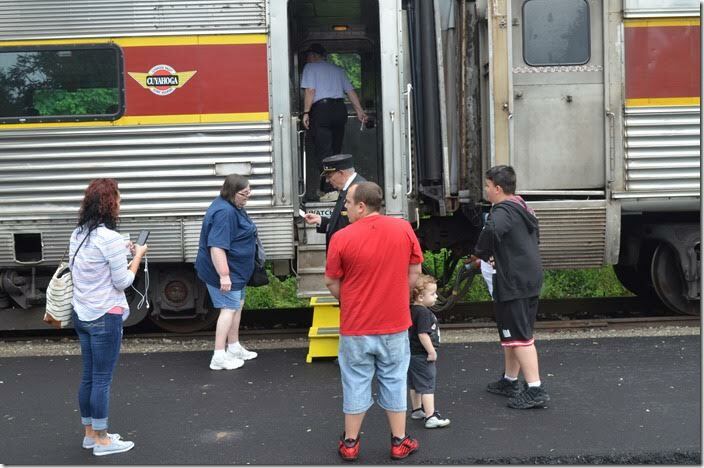 After a 10 minute stop, the train departed south for Akron with FPA-4 on the rear for the northbound trip. The Cleveland, Terminal & Valley built nearly identical depots at Peninsula and Boston Mills. 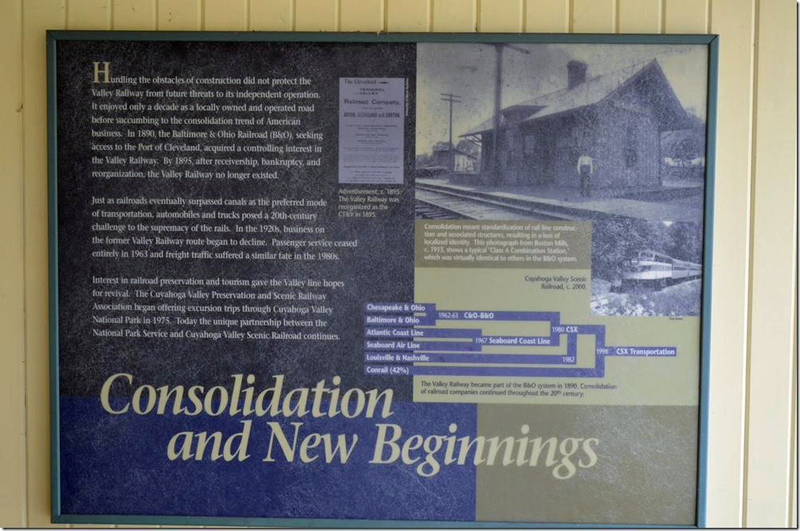 The original Peninsula depot was retired at some point and replaced with the Boston Mills structure. 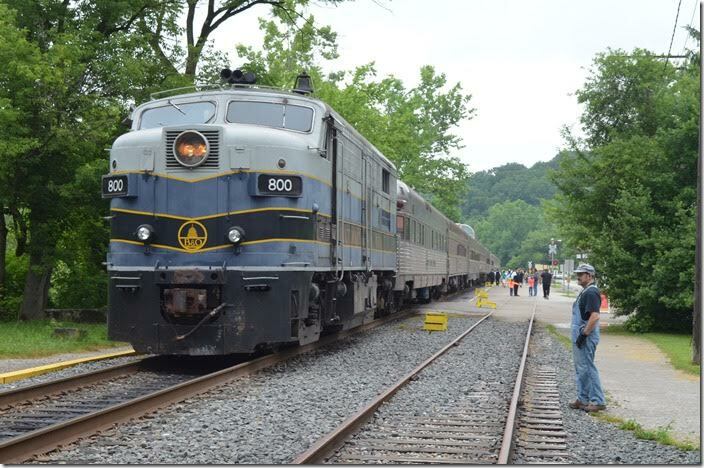 CVSR 6777. Peninsula OH. 17. 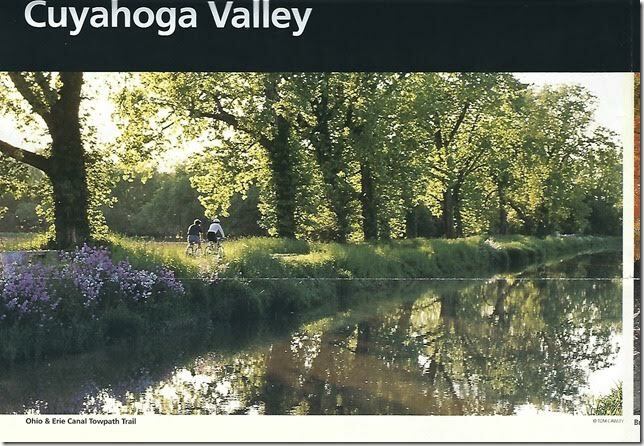 CVNP Cuyahoga Valley brochure. Page 1. 18. 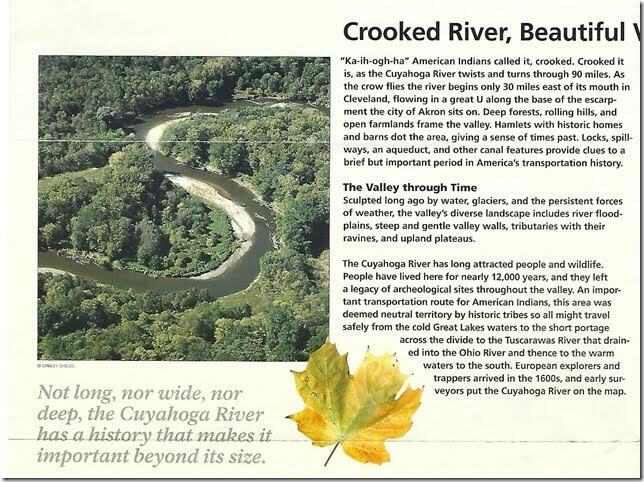 CVNP Crooked River brochure. Page 2. 19. 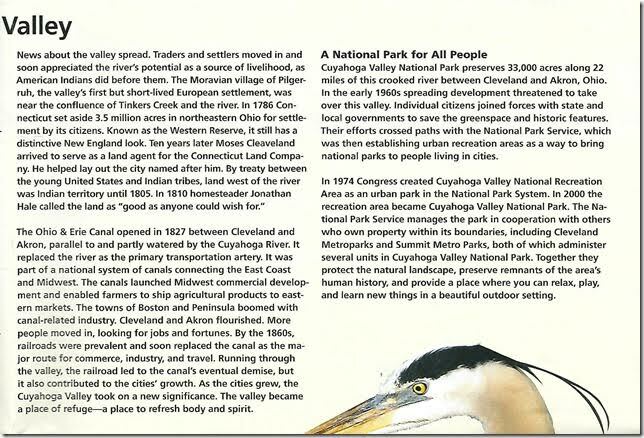 CVNP Beautiful Valley brochure. Page 3. 20. 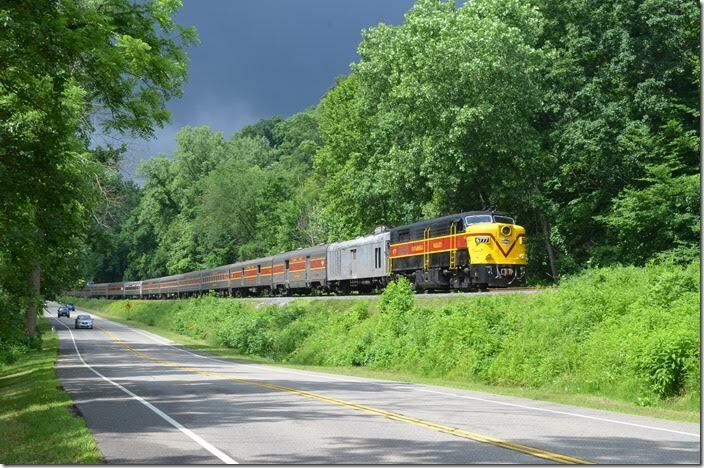 A road follows the CVSR its entire length. CVNP brochure map page 4. Click here for a larger image. 21. 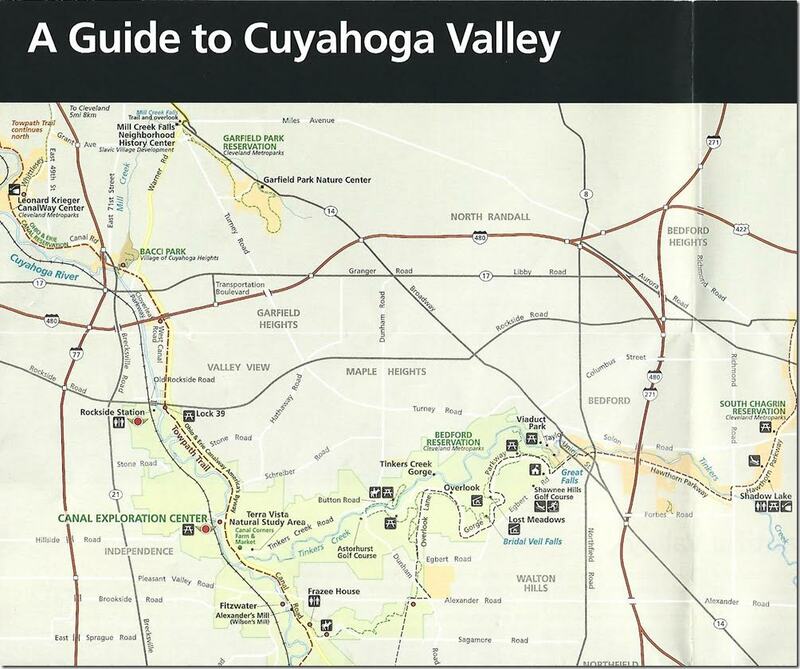 CVNP brochure map page 5. Click here for a larger image. 22. 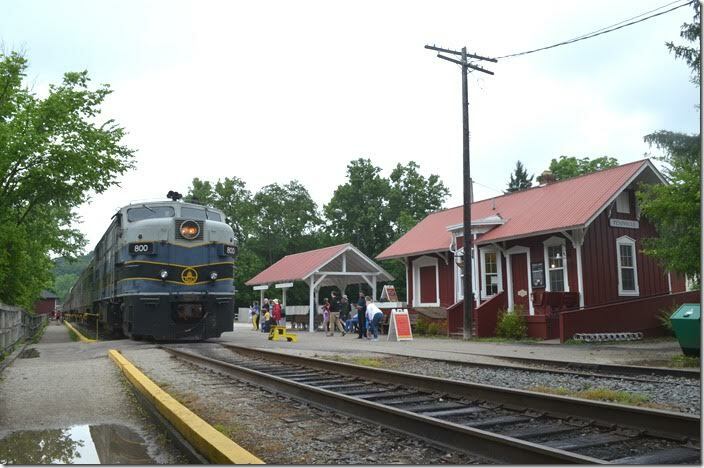 Rockside station is in the village of Independence. I was told that CSX still operates the track north of Independence. 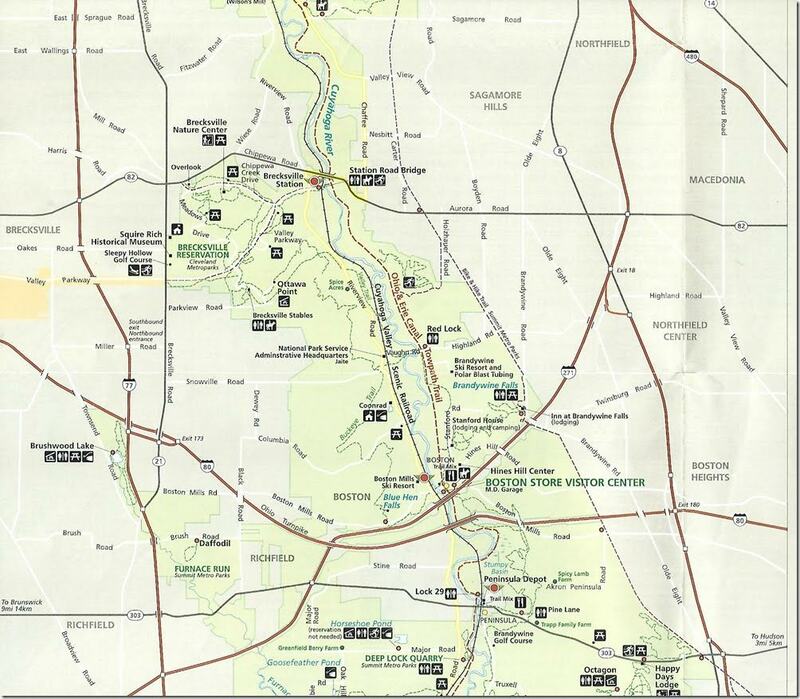 CVNP brochure map page 6. Click here for a larger image. 23. 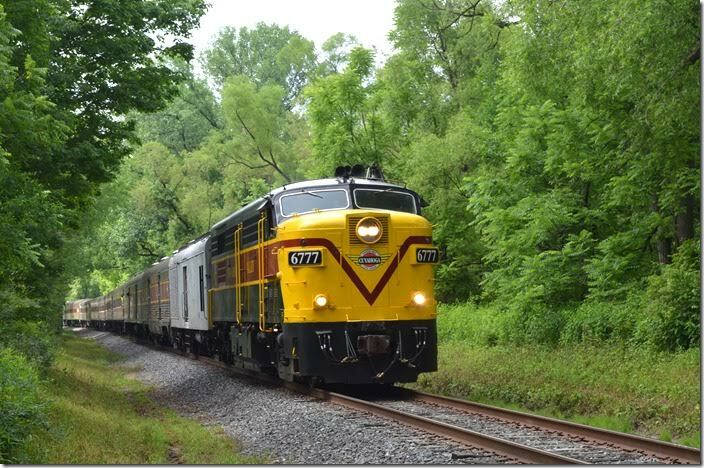 Northbound CVSR 6777 approaches Botzum station at 11:05 AM. Botzum OH. 24. Botzum is a flag stop for bikes. CVSR 6777. Botzum OH. View 2. 25. B&O 800. Botzum OH. 26. 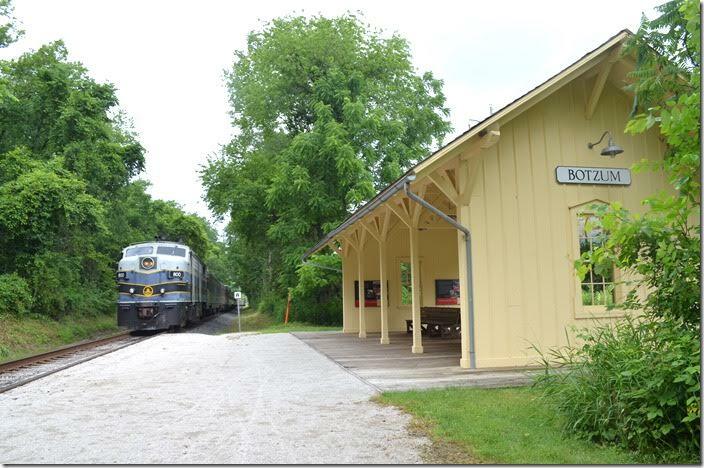 CVSR 6777 stops briefly at Indigo Lake OH. 27. 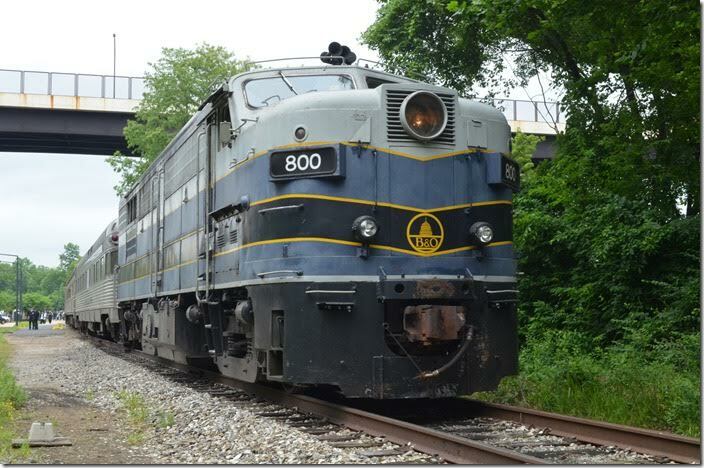 CVSR 6777 is the same vintage MLW FPA-4 as “B&O 800.” View 2. Near Indigo Lake OH. 28. 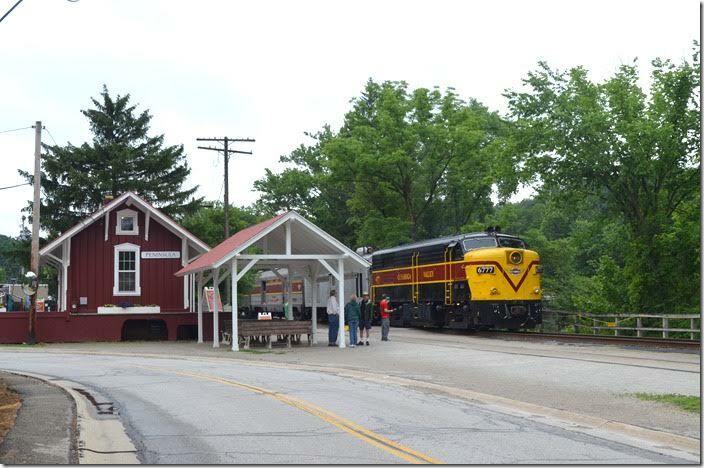 CVSR 6777. Boston Mill OH. 29. 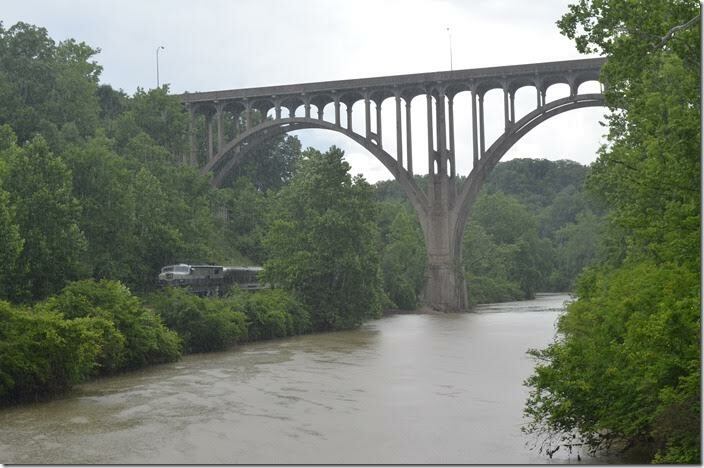 At Brecksville station the CVSR passes under this beautiful concrete viaduct that carries OH route 82 across the Cuyahoga valley. 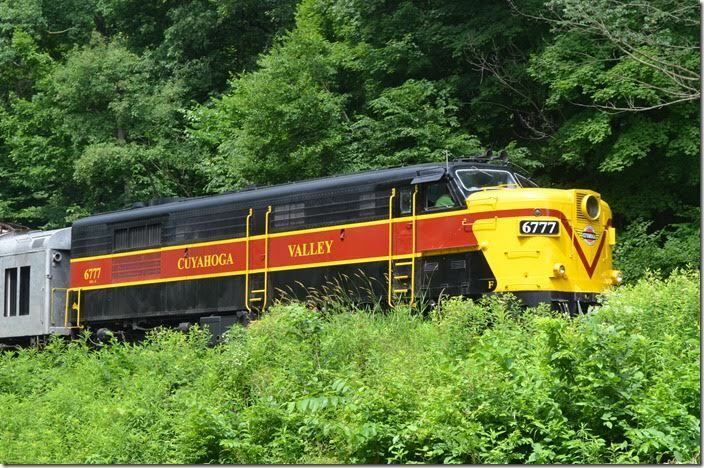 CVSR 6777. Brecksville OH. 30. Now it was time for those ominous clouds to do their thing. I was drenched before I got back to the car! 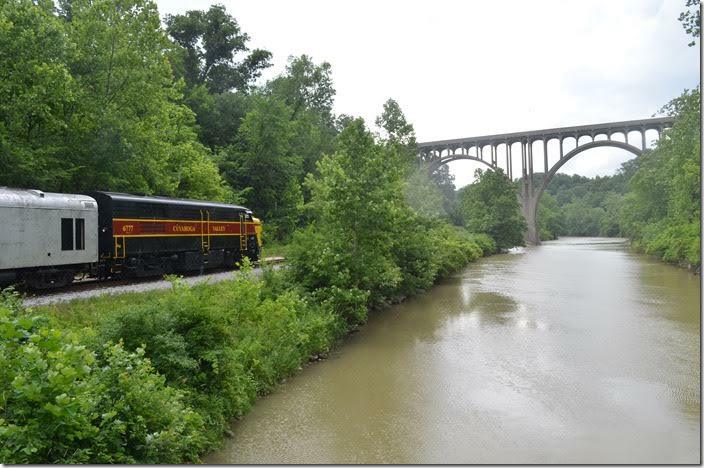 The late John Rehor photographed a southbound B&O ore train from this bridge headed by a pair of Mikes. B&O 800. Brecksville OH. 31. 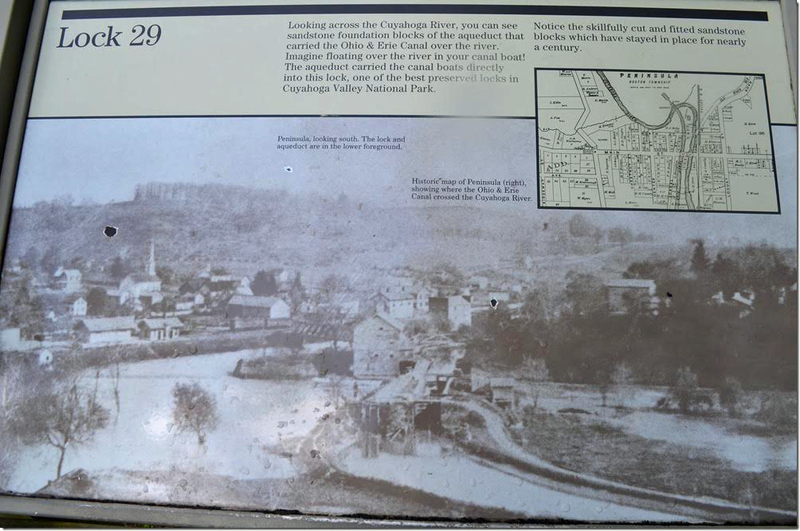 Lock 29 display. On the left you see the depot. The canal had an aqueduct here to cross the crooked Cuyahoga River. Peninsula OH. Click here for a larger image. 32. 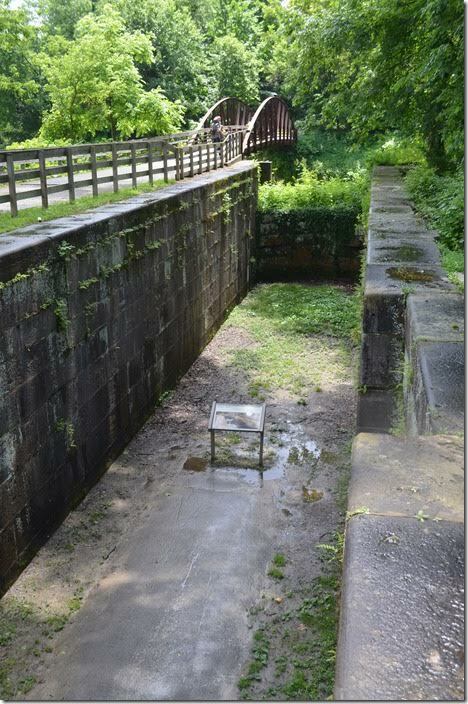 The Lock 29 chamber. Peninsula OH. 33. 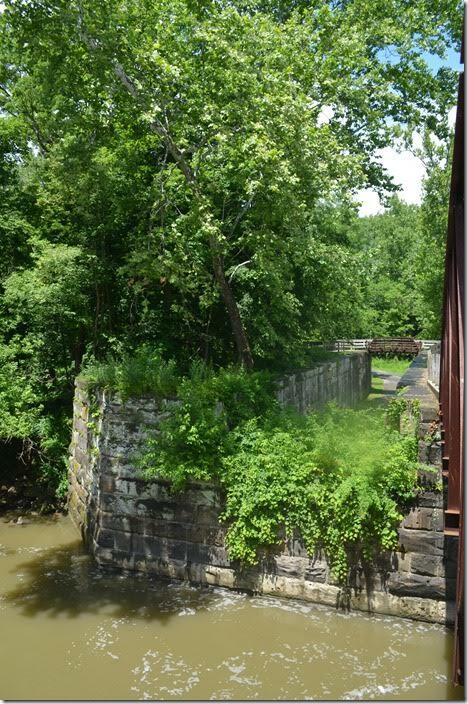 The Lock 29 aqueduct foundation on the west side of the river. Peninsula OH. 34. 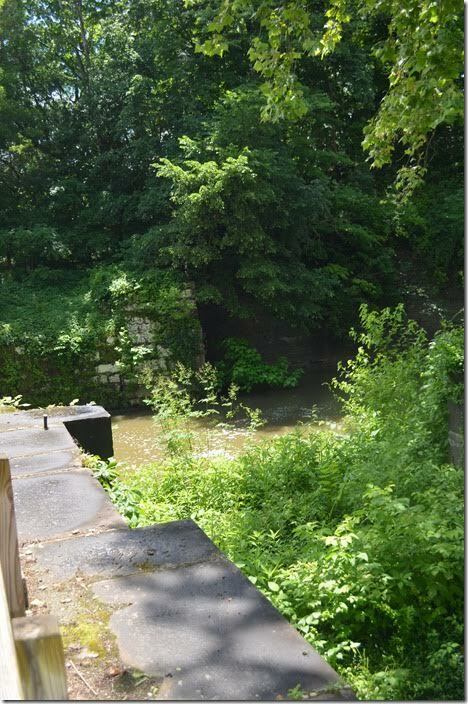 The Lock 29 chamber and aqueduct foundation on the east side. Peninsula OH. 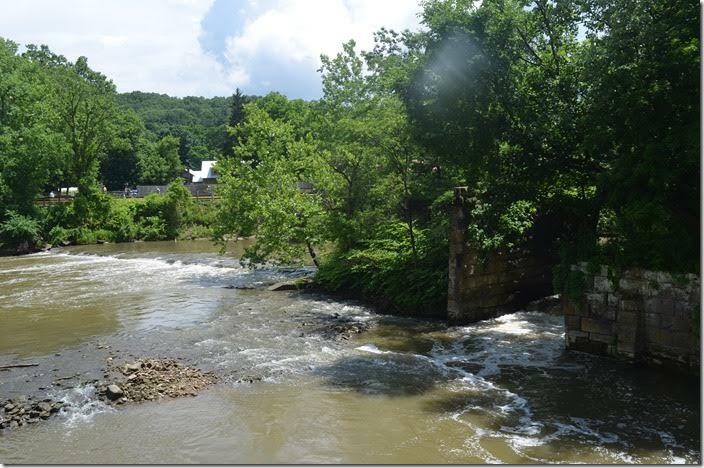 It is hard to imagine that this scenic river becomes an avenue of commerce just a few miles north of Independence in Cleveland. There it is bordered by industry and hosts huge “Lakers” carrying iron ore for steel mills.